Conducting medical clinics and distributing winter coverings have been two specific services ServeNow has been providing for the past several years in these exact parts of the world. Staff on the ground has already begun responding but ServeNow needs to ramp up efforts to meet the requests coming in. Every $350 enables ServeNow to treat a couple hundred people via medical clinics. ServeNow has a network of doctors willing to volunteer their time in addition to staff. Many of those affected by the floods cannot afford to see a doctor or even have access to basic medicines. They are also unprotected from colder weather approaching. Every $15 also provides a heavy and warm blanket or other necessary winter coverings for the most vulnerable, particularly children and the elderly. These items can literally be life-saving for a harsh winter ahead. To read more information, please check out the story part of ServeNow’s website (www.weservenow.org) and particularly this article: https://weservenow.org/asia-flood-update/. You can also call 719-900-1800 to donate. To contact via e-mail: office@weservenow.org. ServeNow is a registered 501(c)(3) non-profit organization. All donations are tax-deductible. The mission of ServeNow is “Serving people in need by caring for orphans, widows, underprivileged children and youth as well as equipping the church for greater fulfillment of its ministry, and providing humanitarian assistance where needed.” Learn more at: https://weservenow.org/. 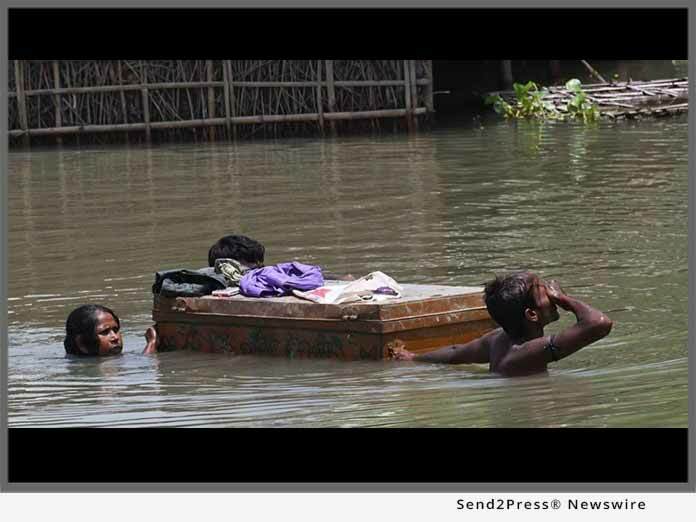 *Photo Caption: Unprecedented flooding left millions homeless in Asia. "Over 1,400 people died and two million have lost their homes. There is now a great need for medical clinics and winter coverings in the flood affected areas," says Ben Foley, of ServeNow. ServeNow is a registered 501(c)(3) non-profit organization. All donations are tax-deductible. The mission of ServeNow is "Serving people in need by caring for orphans, widows, underprivileged children and youth as well as equipping the church for greater fulfillment of its ministry, and providing humanitarian assistance where needed." ServeNow is a member of the Evangelical Council for Financial Accountability (ECFA), signifying a commitment to the highest standards of fiscal responsibility.